Recently, a Tesla sedan with Autopilot crashed into a Laguna Beach Police Department vehicle. Fortunately, no one was in the vehicle, which was parked at the time. The Tesla’s driver suffered minor injuries, according to the police. This is the latest in a series of accidents with Tesla Autopilot vehicles. Four are being actively investigated by the National Transportation Safety Board. Three of them are examining the Autopilot function itself. The fourth concerns the crash of a Tesla Model S in southern Florida, which burned after a high-speed crash. Two high school seniors in the Model S were killed. According to Tesla, Autopilot was not being used before the crash. While the details of what caused the vehicle to crash in Laguna Beach are not yet known, Tesla did issue a statement reminding motorists that Tesla drivers are cautioned always to maintain control of the cars. They should keep their hands on the wheel and pay attention to the road. In other words, the fact that a vehicle has Autopilot engaged doesn’t mean that the vehicle is self-driving and will avoid obstacles, adjust to traffic, and avoid collisions on its own. Drivers still need to ensure that safe driving is done. Are Drivers or Manufacturers Liable? The growing number of Autopilot crashes raises issues of liability in the case of automobile accidents both in southern California and across the country. Is the driver potentially to blame for poor decisions or not obeying traffic laws, as they would be in standard vehicles? Or is the car manufacturer to blame for the failure of the car to drive safely? According to the National Highway Traffic Safety Administration and the Society of Automotive Engineers, there are 6 levels of automated driving, from 0 to 5. At levels 0, 1, and 2, the driver is in complete control of the car. At levels 3, 4, and 5, though, the computer systems in the car and the car itself increasingly control all driving and all decisions. 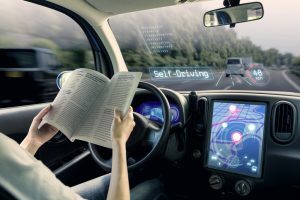 If fully autonomous vehicles are approved for Los Angeles and the nation’s roads, it is possible that car manufacturers of level 3, 4, and 5 vehicles could be judged liable for automobile accidents. So could companies involved in the development, manufacture, and sale of the vehicles, depending on the nature of the accident and the surrounding circumstances. The systems might be found at fault, or the dissemination of information from the dealerships. If you or a loved one has suffered injuries or death from a car crash in southern California caused by a car on Autopilot or any other type of vehicle, call us today. We have spent more than 20 years investigating and successfully litigating automobile accidents in the Los Angeles area. Contact Ellis Injury Law today at 310-641-3335 for a discussion about your case, at no cost to you.